Riding in the peloton takes knowledge, fitness and know-how. For many enthusiast riders, taking that next step and showing up for a group ride is the best way to not only meet other cyclists, but to take your riding to the next level. In order to find out from one of the best, we asked Team Columbia-Highroad rider and former U.S. Postal and Discovery Team rider Michael Barry to offer Road Bike Action readers 10 secret pro tips on how to negotiate riding in a pack. 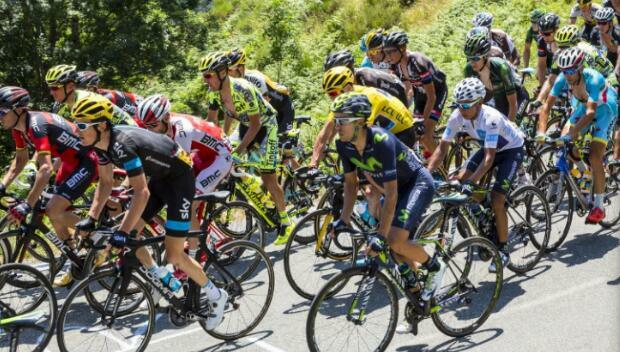 Relax in the peloton and learn to move with the flow of the group. Once you have some experience riding in a group you will soon realize it has a certain dynamic to it. You will quickly be able to find the spots with the most draft, away from the wind, and the spots where it is the safest to ride. There is no better way to learn how to ride well in a group and gain comfort in a peloton than to spend time riding with others. Be calm, focused and observant. This will help to improve your bike handling skills and make informed tactical decisions. Stay towards the front of the group, as you are more likely to avoid crashes, be ready for attacks and stay ahead of splits in the group, and you will not feel the whip of the elastic you will surely experience at the back of the group. If a rider at the front is accelerating out of a corner at speed, you will need to do exponentially more work the further back in the group you are because a peloton goes progressively slower through a corner and therefore progressively faster out of the corner. To win, you need to be in the front, out of trouble and saving energy. A good place to be is in the first 10 to 20 riders, as you'll be out of the wind but ready for any surprises. Use your game-face to gain a psychological advantage—hide your suffering or show it. When Lance Armstrong was isolated without teammates in the mountains during the Tour, he pretended to be suffering to encourage a high pace from his competitors. They burned their motors trying to drop him early on as they thought he was suffering more than he was. On the final ascent he hit them with a potent attack, catching them all by surprise and putting himself closer to the overall victory in the Tour. When you're feeling good, don't show it; when you're feeling bad, try not to show it either. While in a small group or breakaway, do only as much work as the rider who is doing the most—never more, otherwise he or she will have more energy left than you when you get to the finish line.